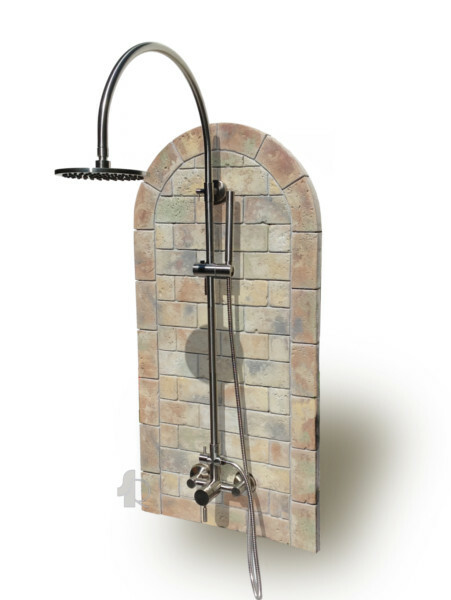 "Theme shower panels provide a unique personalized outdoor shower experiences..."
The “Theme” Series Outdoor Shower Panel Kits were developed for more than just for an outside shower, its a highly detailed functional shower ornament that creates excitement and fun for all landscapes. 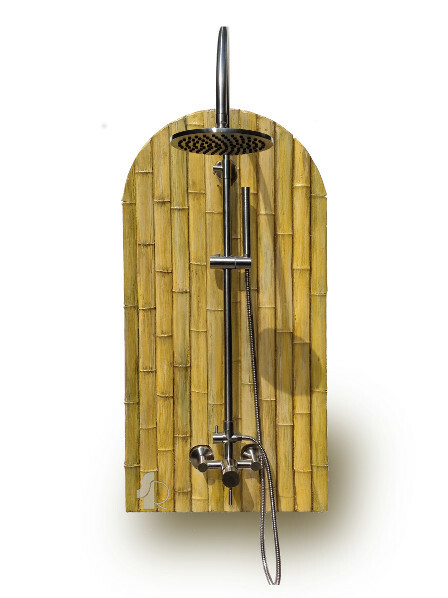 With a choice of four exciting themes to choose from, your outdoor shower will surely be unique. The “Theme” Series looks and feels like real materials, even the most critical eye will be fooled. Each panel is cast with integral colored, light weigh, masonry material and then details are hand colored by artisans to simulate natural counterparts. A UV protective clear coating provides water resistance and ensures longevity and protection, without a high sheen. The panels mount to virtually any vertical surface. The depth and character of stone, brick, wood and bamboo are so lifelike; they will appease the most critical eye. Confused about outdoor shower plumbing? No worries, we will explain and provide the CORRECT water connection for you. All SunRinse Showers are on SALE! 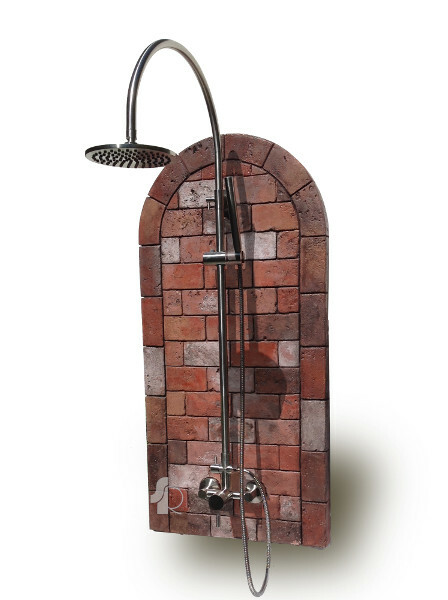 Rustic Brick Outdoor Shower Kit ON SALE! Oceanic Outdoor Shower Complete Kit ON SALE! Oceanic is great for seaside fun in the sun themes. Cool off before getting into the pool, or take a hot outdoor shower after gardening. Tropical beach themed shower. Just add sand and water for outdoor fun. 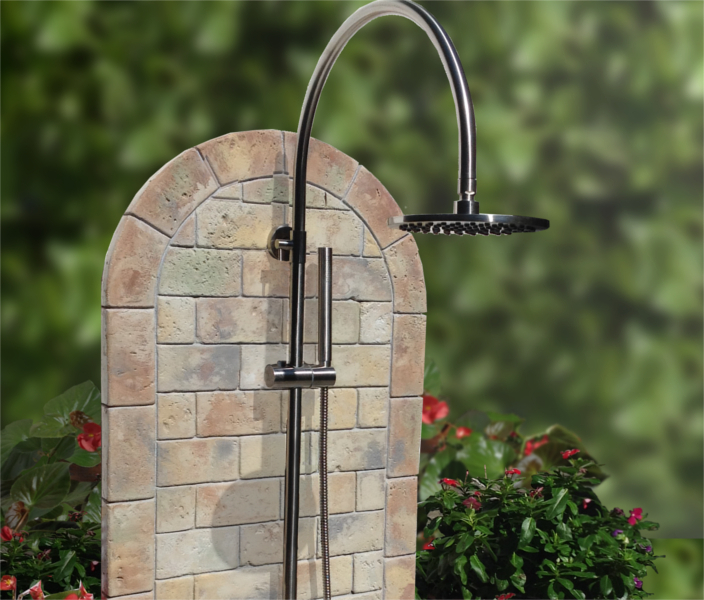 Cut Stone Outdoor Shower Kit ON SALE! 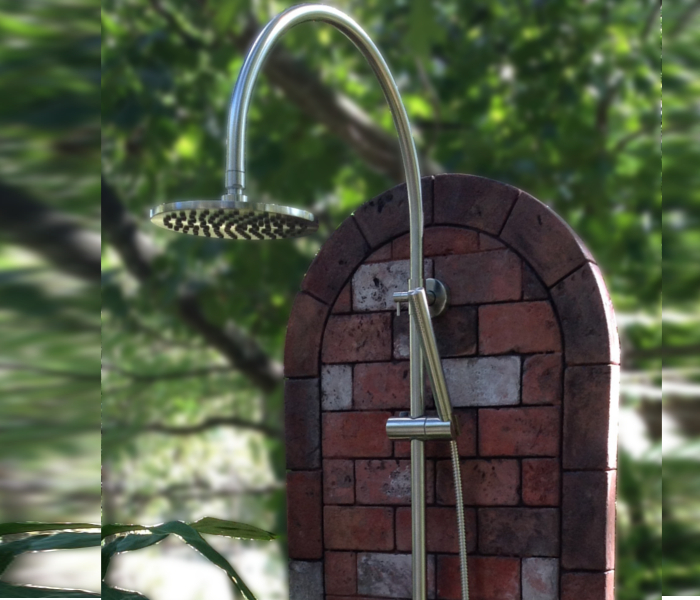 This natural looking cut stone shower is perhaps SunRinse Showers most beautiful outdoor shower. This is our rustic outdoor shower. 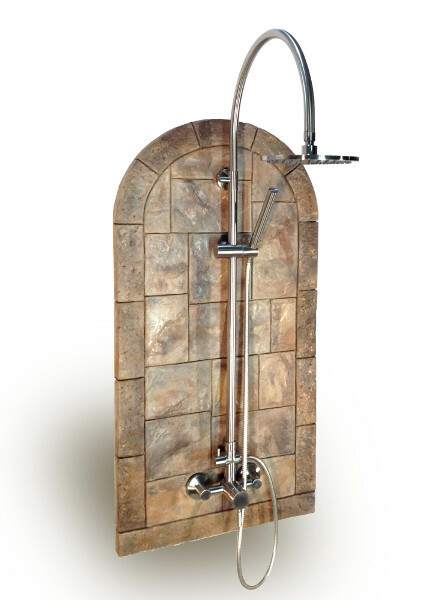 Made with a stainless steel outdoor shower fixture ON SALE!!! 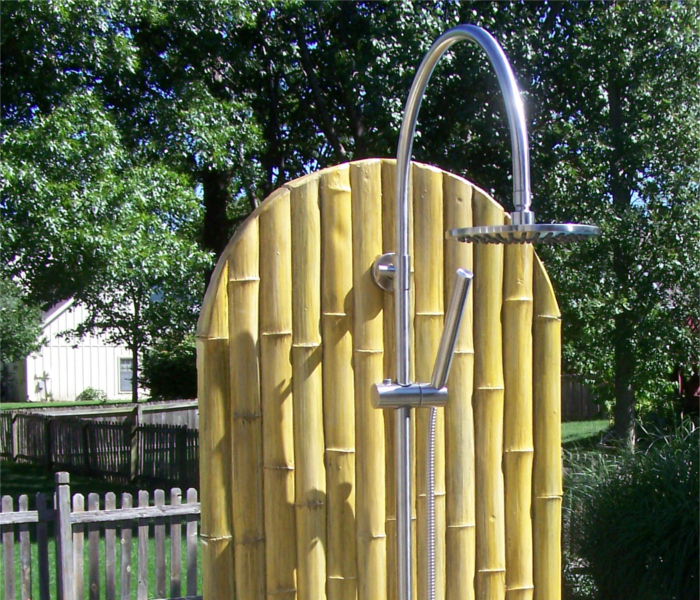 Mount Your Outdoor Shower Almost Anywhere! All Outdoor Shower Kits ON SALE!!! Add Portable Hot Water Heater To Your Shower For Instant Hot Luxurious Showers. 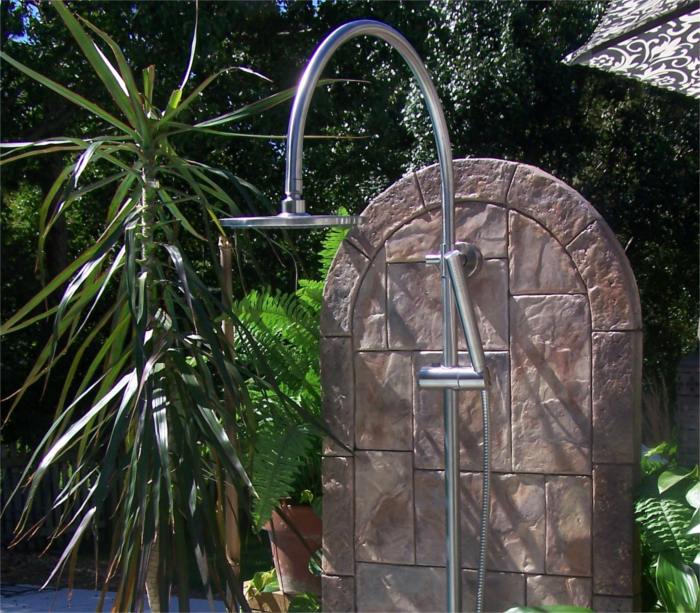 Outdoor Showers Made With Stainless Steel Shower Fixture ON SALE!!! All Outdoor Showers ON SALE! Spring Sale Is Happening NOW!